I was inspired by Apple Music radio. There're a lot of radios with top 100 in various types and styles ranging from traditional rock music to world pop. 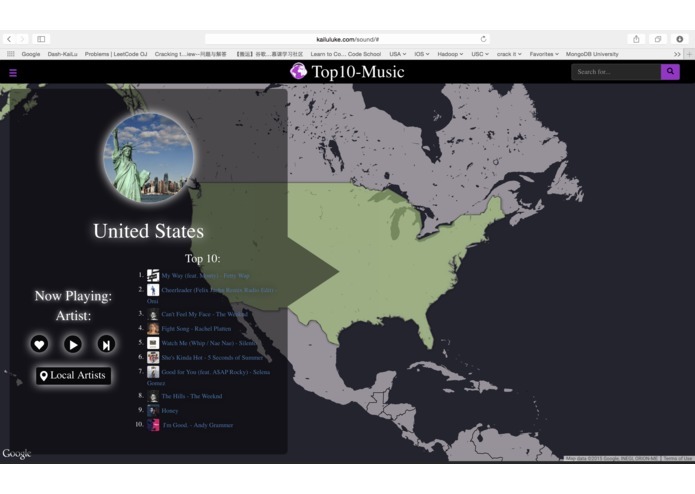 But when I was curious to search the top10 music in the states or even other countries. I couldn't even search for that. 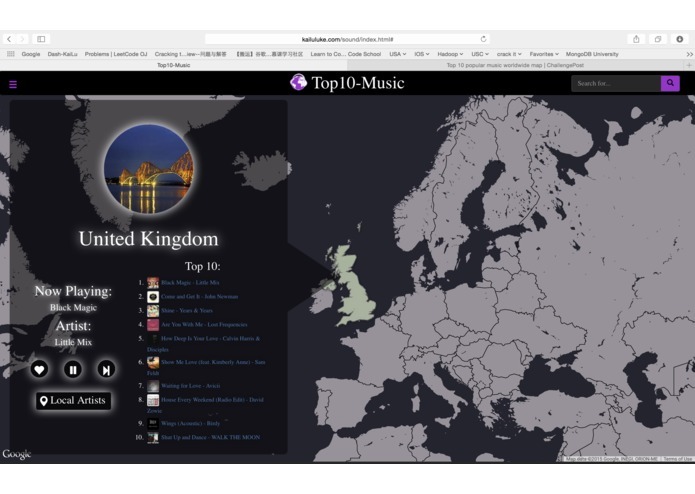 So I just made this website to search top 10 music world wide. To make it cooler, I am using map data service to get the country information. 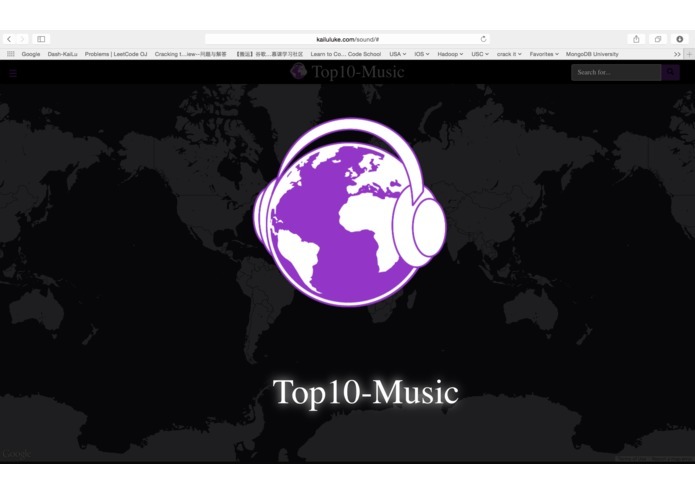 The top 10 music playlist will appear. 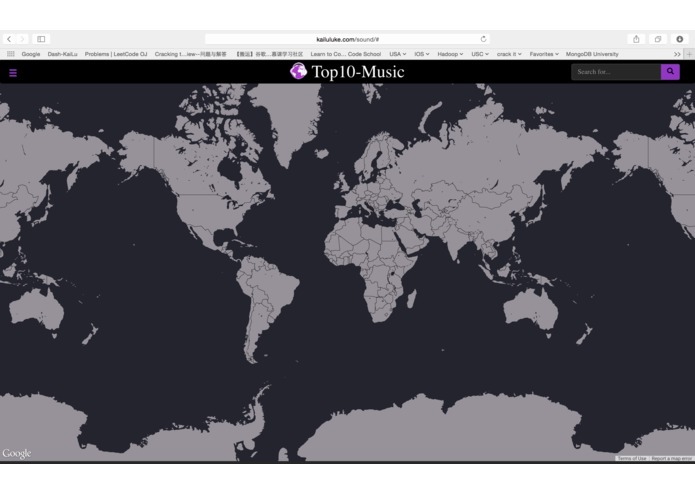 Using the iTunes API to request the most downloaded music songs data. Store them into the mysql database. Click on the one you would like to listen to. It's my first time using map data service. I am a music fun. I am utilizing what I am learning to do something I love. Taylor Swift is not that famous outside of the united states. Map data is cool, beautiful and cool for presenting your demo . Integrate react-native to make an iPad App. Aloha. I did a few things.